Escape from the haunted island step by step. Collect dog food for points and acquire keys to unlock secret doors. 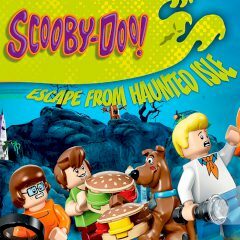 Scooby Doo and the company are going to escape from the haunted island. You will have to do it step by step, so select character for each level and dodge troubles.